Does Your High Speed Internet Plan Need a Little Boost? 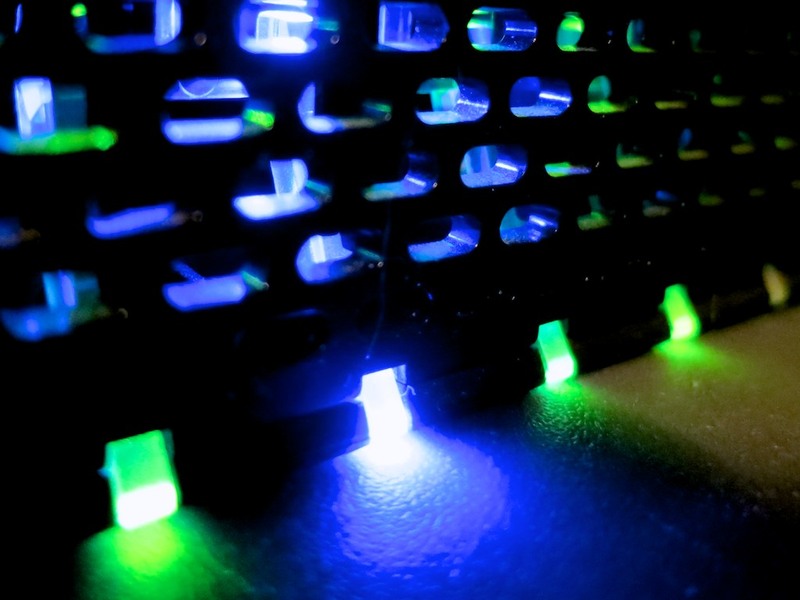 Those blinking lights on your broadband modem are a soothing reminder your home Internet service is up and running. Whether you’ve got enough bandwidth to handle your family’s needs is another question entirely! Fade up from black to a moving star field. In the distance, we see the ship. Dissolve to a wide shot of the bridge. He does a quick survey. All the glowing lights seem to be blinking correctly. This is the kind of daydreaming that happens when you’re counting the days until you can finally get to see Star Trek Into Darkness. I walk into my home office, pet my cat Filbert, who’s always waiting for me, and then sit down in my black swivel chair from IKEA. Boot up my trusty iMac. Look at my Optimum Online broadband modem. I begin happily typing away. We Need More Dilithium Crystals! My wife enters our office and walks up behind me. My wife’s job sometimes requires her to use powerful web publishing tools early in the morning or late at night from home. So our Internet bandwidth download speeds have to be beefy enough for her software to work. So I quickly go to speedtest.net to double check. It’s clocks in at only 18 Mbps. The IT guy is in the doghouse. So I call Cablevision’s Optimum Online tech support to complain about our obviously slow Internet connection. My complaint is short lived, because I quickly find out our current Internet plan is only designed to provide a download speed of 15 Mbps. Cablevision was actually exceeding its service level commitment. Was there a higher level of service I could buy? It’s Optimum Online Boost Plus, and for $14.95 more a month, you get up to 50 Mbps for downloads. And the upload speed improves from 2 Mbps to 8 Mbps. This tier also comes with web hosting features and additional mailboxes, but for now, the pure, raw speed was all I cared about. So I gave the order and made it so. Though I have to admit, I was cranky to be shelling out even more to Cablevision as a triple play customer. The Internet piece alone was $49.95/month. Now, I’m dropping $65/month for my faster Internet connection. Once upon a time, one broadband plan was enough…set it and forget it. I thought we were covered. But the explosion of streaming, online gaming, and social media for all of us has created an ever-growing demand on the broadband pipe. The Internet Innovation Alliance, a coalition of business and non-profit organizations, has put together a fun little video the kids might enjoy that demonstrates this Internet data explosion. So you can see how it makes sense that high speed Internet service tiering would necessarily evolve to keep pace. The good news is every service provider is ready to sell you higher data speeds at home to accommodate your growing bandwidth needs. Their U-verse High Speed Internet has 5 plans ranging from 3-24 Mbps. How Much Bandwidth Do You Really Need? So how much speed is fast enough? The bad news is there is no simple answer. It’s all about what you’re doing online and then doing the math. It starts to add up pretty quickly! So 15 Mbps should cover it, right? That’s true if you’re the only one online. Our government happens to agree with this simple logic. Yes, believe it or not, the United States of America has an official opinion about all of this! If you’re on your own, 15 Mbps will probably cover you. If you’ve got company at home, simultaneously sucking from your broadband spigot, it’s time to upgrade! You may continue to dream about the day you’ll cut your cable cord, but your high speed Internet is already securely hardwired into your life.